Over the summer, we’ve done a lot of updates that you may or may not have noticed yet. Then, earlier this month, we also launched our new approvals dashboard with some advanced verification features in the process. If you have any feedback, please don’t hesitate to let our Support team know about it, or submit a new request to our Customer Suggestion Portal. 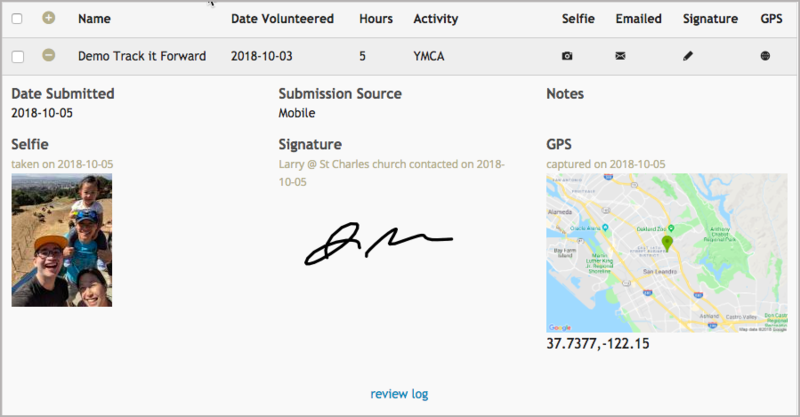 When you get notified of a new hour submission, you can now access everyone’s timesheets through the mobile app and can either accept the submission or can reject it and request for more information from the volunteer. If you have advanced verification features enabled, you can also view the submission details on the app. See more about that below. This was a popular feature by demand, especially amongst the larger organizations who had to scroll through long lists of volunteers to find a name at the bottom of the list. 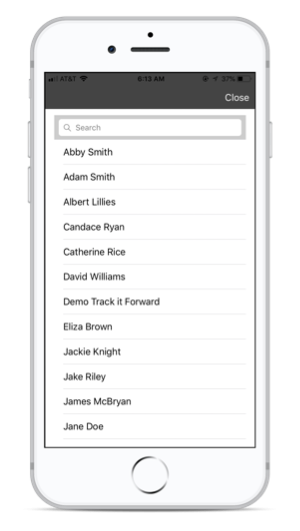 Now, when you are in the hour log and click the dropdown to select a volunteer name, you can type a part of or the whole first or last name for an easy find. 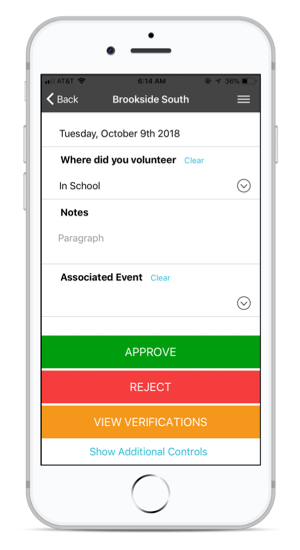 When you have a new volunteer that shows up at an event, instead of having to wait until you return to a computer to register this person’s information into the system, you can now do it directly on the app. This feature allows you to be flexible when new volunteers appear without having to turn them down. 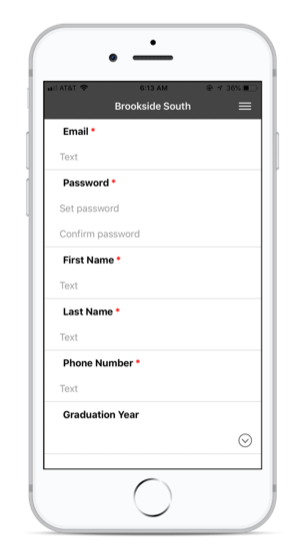 On the right-hand side menu of the mobile app, you will see an option for “Add Volunteer,” this will allow you to set up a new user with a password so that they can log hours on the spot. Our approvals section has moved up to the main menu bar in the Organizer Dashboard, instead of the report summary section. The Approvals page now gives you the ability to filter your pending submissions by various options, view & filter the rejected submissions, approve/reject/send emails in bulk, as well as view reports on pending hours (if you have field approvers assigned). We’ve successfully rolled out our beta version of the advanced verification features - selfies, geo-coordinates and mobile signatures & receipts. If you would like access to the first version, please contact our support team to set up a call for a quick demo. We also are working on a revised version number 2, which should be ready by the end of October. You can watch our video about all these features here. Another popular request has been for a way to see which volunteers have unsubscribed to email blasts. You can now access this at any time by going to your Organizer Dashboard >> Volunteers >> Filter. You will see a new filter called Unsubscribed, where you can select to view which volunteers have unsubscribed to event invitations or to email blasts in general. As always, thank you for your suggestions and we hope at least one of these updates will be able to make your job a little easier. If you have any questions, please visit our Knowledge Base or watch our videos here. And if anything is missing, please let our support team know.